Who are Veterans for Britain? You can’t understand Brexit without understanding Veterans for Britain. This is a story about the establishment that brought you Brexit. It’s a story about a cast of extraordinary characters. Kemp, the loud colonel: a grammar school boy from Essex and self-described “thug”, rallying the troops through Twitter and the tabloids; Walton, the former Metropolitan police commander who left to become “an independent consultant” in the wake of criticism in parliament and press; Banks, the “communications consultant specialising in corporate reputation” who used to work in Dubai. And Guthrie, the Anglo-Scottish aristocrat and Field Marshal, who these days dabbles in private intelligence and mining: for gold, for oil, and for data. It’s a story which exposes the first lie of Brexit. Many of the spokespeople for Euroscepticism like to talk about representing “ordinary, decent people”. They are the so-called “bad boys” who dared to stand up to the elites. Speaking at a Trump rally last year, Nigel Farage claimed, “we made June 23 our independence day when we smashed the establishment." The fascinating details I have found while investigating the people who make up a key pro-Brexit group, Veterans for Britain, make one thing clearer than ever. The Brexit movement was led by Establishment England. Last month, an Electoral Commission press release announced a new investigation into two donations at the heart of the Brexit campaign. The first was made to Veterans for Britain. The organisation, set up “to put forward the Defence and Security arguments for the UK to vote to leave the European Union,” told the Commission they got £100,000 from Vote Leave Ltd in May 2016, and spent £100,000 with the then obscure Canadian data analytics firm AggregateIQ. The second went to a 23 year old called Darren Grimes, a student with no previous campaigning experience who ran the BeLeave pro-Brexit campaign, and claimed that a sudden £623,000 payment from Vote Leave to AggregateIQ was made on his behalf. The Commission is interrogating whether each of the three groups – Vote Leave, Veterans for Britain, and Grimes – “delivered a return that was incorrect” in relation to these donations and, consequently, “whether or not Vote Leave exceeded its spending limit”. The guidelines specify that “Making donations to another campaigner is not working together”. However, if they are “spending money as part of a coordinated plan or arrangement”, then it’s “working together”. So the question is, was Vote Leave Ltd “working together” with Grimes and Veterans for Britain on how all this money was spent. The issue was further complicated late last month. Vote Leave Ltd’s Dominic Cummings had previously claimed that the organisation got a letter from the Electoral Commission, signing off on these donations. But Carole Cadwalladr revealed in the Observer that the Commission (finally) told her “we can’t find any record of any exchange with us on the subject of donations between them from that period”. We’ve written before about the close relationship that the 23-year old Grimes seemed to have with Vote Leave. But Veterans for Britain appears to have been even closer. 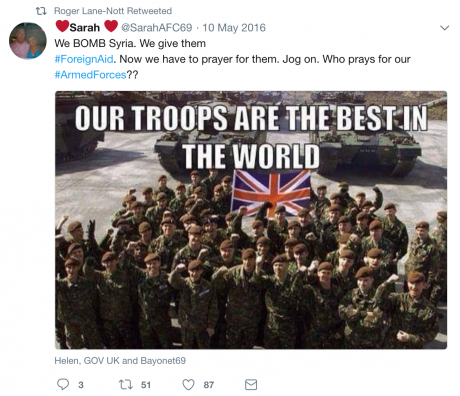 Lee Rotherham, who was director of special projects for Vote Leave, took up the job of Executive Director of Veterans for Britain in October 2016. What the Electoral Commission will have to decide is whether Lee Rotherham “co-ordinating with… allied groups” counted as “working together” as defined by Commission rules, and if it included such co-ordination with Veterans for Britain, of which Rotherham would soon become executive director. Rotherham, who uses the Twitter handle “DrBrexit”, is a long term Eurosceptic, former Army reservist and military history enthusiast, who claims to have advised three foreign secretaries, and also to have worked “in defence”. He has previously been associated with the right wing groups the Taxpayers’ Alliance and the Freedom Association, and now has his own think-tank, The Red Cell. 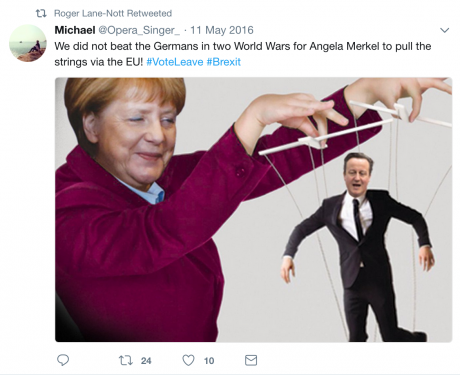 He told openDemocracy that during his time working for Vote Leave, he “was in touch with a range of Eurosceptic campaigners, of which VfB [Veterans for Britain] was one group” – which in itself breaks no rules. He denies all allegations of co-ordinating campaign activities and expenditure, denies referring AggregateIQ to the group, and denies being behind the £100,000 donation. 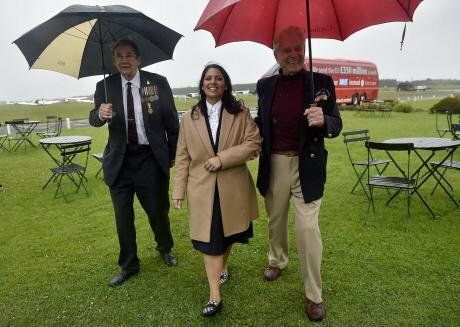 The only other donation Veterans for Britain declared is £50,000 from Arron Banks’ firm “Better for the Country Ltd, which is also the subject of an Electoral Commission investigation (you can read openDemocracy’s close look at his affairs here). 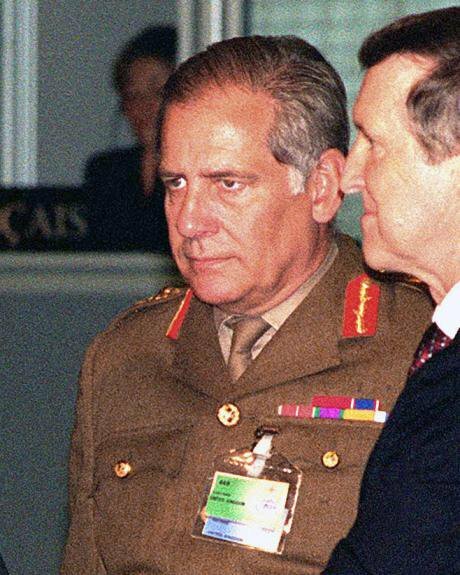 Field Marshal Lord Guthrie in 1997. Image, public domain.Charles Ronald Llewelyn Guthrie took on a new role this year. In August, the firm Arcanum Global announced that he had joined them as a senior adviser to its chairman. Arcanum is Latin for “the secret”, and calls itself “a global intelligence company that provides a host of bespoke strategic intelligence services to government entities and the private sector”. Guthrie – or, to give him his full title, Field Marshal Lord Guthrie of Craigiebank, GCB, LVO, OBE, DL, Colonel of The Life Guards, Gold Stick to The Queen, Colonel Commandant of the SAS – was head of the British army from 1994-1997 and then chief of defence staff from 1997-2001. He was sometimes given another title by the media: “Tony’s General” due to his alleged close relationship with Blair, and his early support for the Iraq war, although he later revised his views. As well as being an advisor to Arcanum’s chairman, he is also listed as a member of the advisory board of Veterans for Britain. According to Arcanum’s website, its chair – the man Guthrie advises – is Ron Wahid, “an industry leader in the fields of international business, finance and intelligence” who “has been the lead advisor to oil supermajors and multinational corporations” and “was an advisor to the Bush-Cheney Transition team”. Shortly after the European referendum, Wahid wrote in USA Today that “Brexit is an opportunity for American businesses”. He told the Financial Times that the Kazakhstan government was one of his company’s clients. Its vice chairman, Keith Bristow, is a former director of the National Crime Agency and chaired the controversial Five Eyes Law Enforcement Group. Other advisers to the chairman, according to the company's website, include the former US Director of National Intelligence and former head of the French intelligence service. The late Meir Dagan, the former Mossad head, credited with transforming the Israeli intelligence agency, also worked for the firm before he died last year. It is one of a number of firms which, the FT says, “have benefited from the growth in outsourcing by the law enforcement and spy agencies of the US and its allies”. In late September or early October 2014, Guthrie declared that he had become a shareholder in two companies. One of them is Palantir Technologies, a data analysis firm co-founded by the US billionaire Peter Thiel, who was also co-founder of Paypal and a board member of (and the first major investor in) Facebook. Thiel is known for his major donations to Donald Trump and other parts of the American ‘libertarian’ right, reportedly turned down a job as chair of Trump’s intelligence advisory board, and famously argued in 2009 that “the extension of the franchise to women” has “rendered the notion of ‘capitalist democracy’ into an oxymoron”, that “capitalism simply is not that popular with the crowd” and therefore that his fellow libertarians must focus on developing the technology that will ensure that it is capitalism, rather than democracy, which wins that struggle: “The fate of our world may depend” he wrote “on the effort of a single person who builds or propagates the machinery of freedom that makes the world safe for capitalism”. Thiel’s company, in which Guthrie owns shares, is said to be named after the all-seeing stone in the Lord of the Rings, and described by The Guardian as the “‘special ops’ tech giant that wields as much real-world power as Google”. The firm’s founders, according to Jacques Peretti in the book Done: The Secret Deals That Are Changing Our World, aimed to “create a company that took Big Data somewhere no one else dared to go”. As a start-up, they secured support from the CIA, and the Intercept revealed earlier this year that they now work with a string of government agencies, including America’s NSA, Britain’s GCHQ, and Australia’s Defence Signals Directorate and, (according to Haaretz) with the Israeli government. But the firm doesn’t just work for government agencies. It works with anyone wanting vast data processing power. 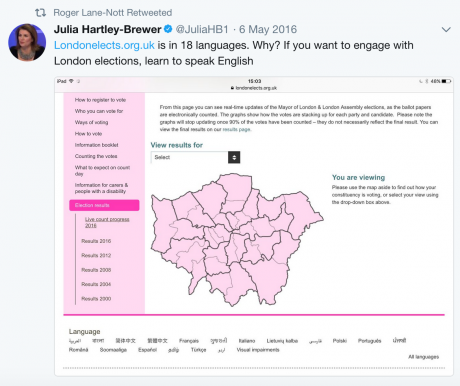 It’s a protagonist in Carole Cadwalladr’s now legendary article, “The Great British Brexit Robbery”, which looks at the role of big data analysis firms like Palantir, AggregateIQ and Cambridge Analytica in Brexit, with terrifying implications for modern democracy. One final detail on Palantir. It isn’t a publicly listed company. It’s privately owned. openDemocracy has attempted to contact Field Marshal Lord Guthrie to ask him how and when were he was introduced to Palantir, and why he chose to invest in it. He has so far not responded. According to company records, Guthrie was also a non-executive director of Gulf Keystone Petroleum from 2012 to 2015 (although House of Lords register of interests says he held this position from 2000), Gulf Keystone Petroleum is a company founded in 2001 and registered in Bermuda but operating primarily in Iraqi Kurdistan, where it has worked since 2007 and discovered a major oil field in 2009. Guthrie was paid nearly £400,000, and was granted £250,000 worth of “options” under a company share options plan “subject to performance conditions and holding period”, according to its annual reports. From 2008 to 2015, he was also director of Petropavlovsk, a London based company which mines gold in the far east of Russia, for which he was paid more than £800,000 according to the company’s annual reports over that period. And from 2002 to July this year, he was on the board of Colt Defence, the small-arms manufacturer famous as the original producer of the M16 rifle, which nearly went bankrupt in 2015, forcing it to release papers which, as The Intercept revealed, showed the firm was paying money to the anti-gun control lobbyists the National Rifle Association. Guthrie has had a number of advisory and board roles including with major financial service companies and with Rivada Networks and was a board member of the Moscow school of political studies and of Ben Gurion University in Israel, and is Chancellor of Liverpool Hope University. Like many leading Brexit supporters, he has links to the Gulf, having been on three separate “advisory trips” to Oman, paid for by the Sultan of Oman, who took his job from his father in a British backed coup in 1970 and who, the famous Snowden leaks revealed, hosts three GCHQ bases in his country. openDemocracy has tried to contact Field Marshal Lord Guthrie in order to ask about his membership of the Veterans for Britain advisory board. We have not yet had a response to our enquiries. 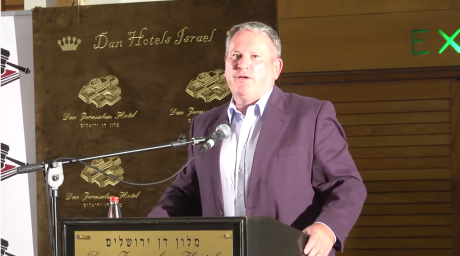 Richard Kemp speaking at a law of war conference in Israel. Image: YouTube, fair use. Also listed on Veterans for Britain advisory board is the celebrity militarist Colonel Richard Kemp, a former member of Cobra, the government’s top-level crisis management committee. Kemp commanded British forces during the Afghanistan campaign, and is an author and frequent commentator in the right-wing media. In an interview with the Saudi magazine Majalla, posted on his website, Kemp talks about his own close relationship with the Islamist Saudi Arabian regime, and his support for their war in Yemen. A prolific media commentator, Kemp can be found espousing opinions on a wide range of subjects, including his argument that the UK should open a version of Guantanamo Bay, his complaints about refugees being allowed into the UK and US, frequent comments complaining that the government is too concerned about civilian casualties to defeat ISIS and criticism of the idea that women should be allowed into front-line combat roles in the military. Last month, the Times of Israel had to publish an apology and pay ‘substantial damages’ to Tory peer Sayeeda Warsi for defamatory remarks Kemp made about her in a column for the paper. He has also been highly critical of Saudi Arabia’s key opponents Qatar and Iran, spoke at a rally against Obama’s Iran peace deal in 2015, and has written a number of times in defence of Donald Trump. 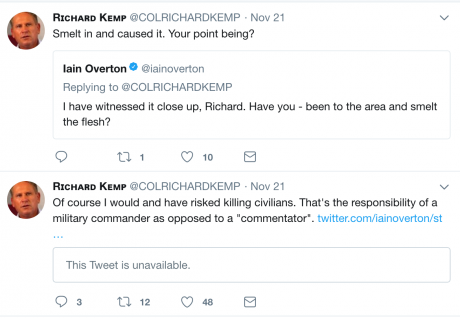 openDemocracy offered Colonel Kemp the chance to comment, which he has declined. Also on Veterans for Britain advisory board is Gwythian Prins, an emeritus professor at LSE and visiting professor at the University of Buckingham, the UK’s first private university. 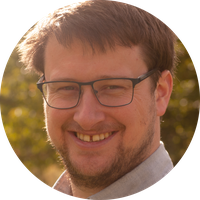 Prins is also listed on its website as having been a member of the academic advisory council of the climate change-sceptic campaign group the Global Warming Policy Foundation, about whom openDemocracy has previously written – he tells us he left the organisation in 2012. In 2010 he was lead author of a paper critical of the Kyoto Protocol which was part-funded by the Japan Automobile Manufacturers Association. Prins was a vocal supporter of the Iraq war, telling openDemocracy "I certainly supported the liberation of Iraq on condition that there was a proper plan for reconstruction, which in the event there was not." He has also been a board member of the Charity Commission, a role in which he caused some controversy in the run up to the referendum. The Commission had issued guidance about charity conduct ahead of the vote, which was criticised as heavy handed in restricting charities and those in high profile positions in them from expressing their opinions on Brexit. Prins, who as a board member held a prominent position in the body enforcing the rules, wrote an essay in support of Brexit, which was seen by some as breaching the impartiality he, as part of the Commission, was involved in imposing on others. Prins told openDemocracy that the “Cabinet Office examined the complaints and dismissed them as being without merit”. The Commission eventually changed the wording of its guidance. Lieutenant General Jonathan Riley, another advisor to Veterans for Britain, played a key role in the Iraq war, having commanded a multinational division in the south of the country between November 2004 and August 2005. Riley gave evidence to the Iraq Inquiry, in which he defended the controversial decision to break up the Iraqi army after the invasion. You can read his testimony here. openDemocracy has tried to contact Lieutenant General Jonathan Riley for comment. Also listed as a member of the advisory board of Veterans for Britain is Major General Tim Cross. Cross was the most senior British official involved in the now controversial post-war planning for the war in Iraq. You can read his testimony to the Iraq War inquiry here. 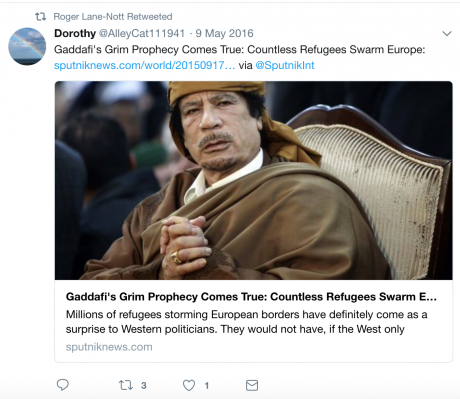 Rear Admiral Roger Lane-Nott, another member of the Advisory Board, is a retired submarine commander who, among other things, served in the Falklands war, as senior Naval officer in the Middle East, and as commander of all NATO submarines in the East Atlantic. After leaving the military, he worked as chief executive of the Centre for Marine and Petroleum Technology, and has held senior positions in motor racing, including being FIA Race Director and Safety Delegate for Grand Prix racing and secretary of the British Racing Drivers’ Club. You can see some examples from his Twitter feed in the run up to the referendum below. The final person who was listed on the Veterans for Britain website as a member of their advisory board – Richard Walton – denied to openDemocracy that he is a member of it, and they have subsequently changed their description of him to “report contributor”. In February this year Veterans for Britain published a high profile report by Walton, who is a former Metropolitan Police Counter Terrorism Commander, which was covered comprehensively by the Daily Mail. “Ellison reports on a… ‘wholly inappropriate’ use of an undercover officer during the Macpherson Inquiry. Ellison finds that an officer, referred to as N81, had been deployed into one of the groups seeking to influence the Lawrence family campaign, while the Macpherson Inquiry was ongoing. Ellison refers to N81 as ‘an MPS spy in the Lawrence family camp during the course of judicial proceedings in which the family was the primary party in opposition to the MPS’. “As part of his deployment, N81 reported back to the SDS (Special Demonstration Squad) personal information about the Lawrence family, as well as what is described as ‘tactical intelligence’ around the Inquiry. In August 1998, the SDS arranged for N81 to meet Richard Walton, then a Detective Inspector involved in writing the Met’s submissions to the Macpherson Inquiry. SDS files record that they had a ‘fascinating and valuable exchange’. “Mr Speaker, Ellison finds that the opening of this channel of communication was ‘completely improper’. He finds no discernible public benefit to the meeting taking place, and says that – had it been disclosed at the time of the Inquiry – ‘it would have been seen as the MPS trying to achieve some secret advantage in the Inquiry from SDS undercover deployment’. If it had been made public in 1998, Ellison finds, ‘serious public disorder of the very kind so feared by the MPS might well have followed’”. Walton was referred to the Independent Police Complaints Commission, though the Met concluded that he had done nothing wrong. The IPCC interviewed Walton and concluded in its report on 14th January 2016: “it is the investigator’s opinion that Richard Walton has a case to answer for misconduct”. Six days later, on 19 January 2016, Walton retired from the Met, leaving Lawrence’s father ‘heartbroken’. No decision or finding of any wrongdoing was ever upheld against Walton. Walton told openDemocracy that “the IPCC were informed by me (by letter) of my impending retirement two months before I retired yet chose to act as if they were powerless to stop me retiring in the days leading to my departure. Not only had the matter been concluded, but the IPCC then acted unethically in suggesting that I was retiring hastily to avoid sanction. I wrote to the Home Secretary to complain.” He added “the Met rejected the IPCC’s conclusions. There was, therefore, no outstanding allegation against me when I retired”. Walton said this would be confirmed in a future public inquiry. Walton also played a minor role in the Leveson inquiry into phone hacking. In 2009, he was staff officer to the then Metropolitan Police Commissioner Paul Stephenson – a role reported at the time as being his right-hand man. Stephenson was forced to resign as a result of the phone hacking scandal, and his connection to Neil Wallis, a former executive editor of the News of the World. Walton attended the meeting at which the Met decided not to investigate the Guardian’s initial phone hacking allegations, and his name appears twice in the official documents released by the Leveson Inquiry. There is no suggestion that he himself did anything wrong. After retiring from the Met, Walton set himself up as a counterterrorism consultant and commentator. Veterans for Britain was originally registered by David Banks, who these days works as its Head of Communications. Banks, in common with a number of leading Brexit supporters, has strong links to the Gulf, having lived in the United Arab Emirates for four years and worked in media relations ‘across the Middle East’. The organisation’s chairman is the retired Major General Julian Howard Atherden Thompson, whose time in the army dates back to the imperial struggles of the mid-1960s. Whatever the Commission concludes in each of these investigations, our research into Veterans for Britain has confirmed something much more profound. At core, Brexit was two things: an anguished cry of imperial nostalgia, and a home-coming for disaster capitalism. A key part of the former is the sociological impact of declining military might, a scar slicing across the heart of a country which once ran much of the world. A key part of the latter is the rise of private intelligence and security, the adoption by the private sector of the one thing which used to be the sole preserve of government: the deep state. Starting to untangle just this one organisation, we begin see how the two strands of Brexit sit so neatly side by side. And that this movement was as establishment as they come. And its chief finance officer is called Mr Economides.